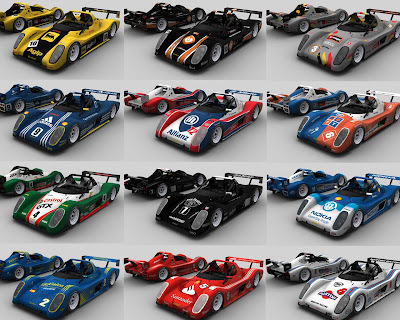 12 skins for the Radical 1.4 mod for rFactor. A special thanks to ElPolaris for the support. Thank you so much for the support guys! :) Its that kind of motivation that keep me doing this, and want do more!!! What do you like driving at the moment? Do you have a template for the Radical that I can use to modify my own skins? I don't think I can just use the dds files .. I need the template, right?